Within the framework of the project Ceci n’est pas une voiture. Nomadic devices loom around the museum, Idensitat, CanXalant. Centre de Creació i Pensament Contemporani de Mataró and ACVic Centre d’Arts Contemporànies launch an open call for ideas to develop two projects of intervention in the public spaces of Mataró and Vic. Parking 02. 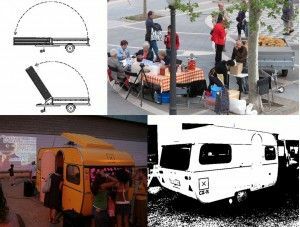 Open call for a project of intervention in the public space of Mataró using Idensitat’s Dispositivo Itinerante. 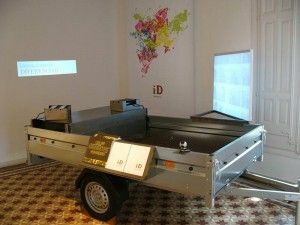 At different moments in 2009 and 2010, the Dispositivo Itinerante (Touring Device) has been part of workshops and seminars as an itinerant exhibition that conveys specific activities generated by Idensitat. It has taken part in the iD Barrio project and was present at various activities of educational activities and intervention in the public space in Calaf (Espacio Hivernacle Cultural), Prat de Llobregat (Torre Muntadas), Barcelona (La Capella) and Manresa (Passeig Pere III). It pursues the idea of an exhibition that expands in the territory and serves as a transmitter – receiver of data. Its itinerant nature allows affecting specific aspects of the territory through mobility. 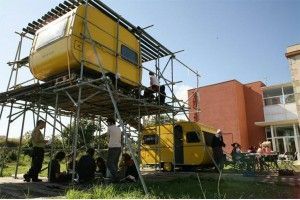 The Dispositivo Itinerante is a way to demonstrate and display one of Idensitat’s main objectives, which is to be an itinerant production space, which travels within the territory with the projects it produces, while generating insights, analysis and proposals for change. In this case it is proposed as a support element that is integrated into the project selected from the open call, and can be modified and adapted to its needs. The Dispositivo Itinerante has some additional elements such as projector, various tables, chairs, projection screens and vertical supports. Since its opening, CX-R has been requested for different uses: artistic-educational interventions in schools, neighborhood festivals, stage for performances, artistic interventions, among others. CX-R can be modified for each application and project. Both open calls are for artists who provide proposals of intervention in the public space from a trans-disciplinary perspective and the willingness to interact with different strategies within the social space of Mataró and Vic (Barcelona). 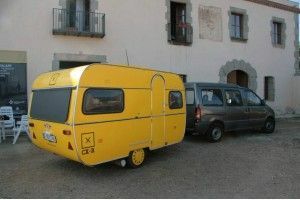 Participants will have to make a proposal that incorporates Idensitat’s Dispositivo Itinerante in the case of Mataró and Can Xalant’s CX-R in the case of Vic, and that will be carried out in the public space of the city. The concept of space is to be understood in its dual capacity, physical and social. There are no prerequisites apart from these mentioned above; the project can therefore tackle cultural, political, educational or any other issue. At any rate, the strategy and formalization will have to deal with elements of latent tension in public space. The final location of the selected proposal in the public space will be subject to obtaining a municipal permit. 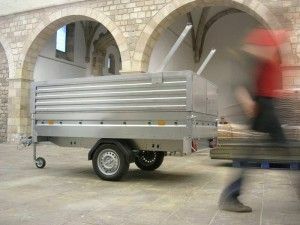 The proposals will be carried out during a residency of 30 days, between May 1 and June 30, 2011. The selected project will have 4.000€, of which 1500€ in fees and 2.500€ for production (including taxes). The organization will take on the costs of accommodation, travel and technical support; likewise, it will endow a maximum of 1.750€ for travel and per diem expenses for a stay of 30 days. The selected projects will form part of an exhibition and publication that will be produced in the context of the project. The selection of projects will go before a committee formed by: Jesús Carrillo, Director of the Departamento de Actividades Públicas del Museo Nacional Centro de Arte Reina Sofía; Pep Dardanyà, director of Can Xalant; Pilar Bonet, historian, art critic and professor of art and contemporary design at Universitat de Barcelona; Jordi Canudas, visual artist and professor at l'Escola Massana Centre d'Art and Disseny-UAB; Ramon Parramon, director of ACVIC and Idensitat; Martí Peran, curator and professor of theory of Art at Universitat de Barcelona; Cristina Riera, cultural manager and responsible gestora cultural and coordinator of I+D Trànsit Projectes. The deadline for presenting proposals is March 12, 2011. Selected works and respective projects are property of the author or authors. The authors ensure that the presented projects are originals and the use of images in them does not infringe the right of third parties. The authors will allow the reproduction of the submitted projects for various publications promoted by IDENSITAT, Can Xalant and/or ACVic, for publication on their websites and all cases related to the dissemination of the program. IDENSITAT, Can Xalant and/or ACVic may use, always mentioning the authorship and with no financial retribution, the selected projects as deemed necessary to promote the call for projects as well as other activities that have no commercial purpose. The works produced within this project must explicitly state it when presented publicly outside this framework. IDENSITAT together with Can Xalant Centre de Creació i Pensament Contemporani de Mataró and ACVic Centre d’Arts Contemporànies will incorporate into its public archive all documentation generated by iD#6 Mataró-Vic. Participation in this competition implies acceptance of these rules and regulations. .
Ceci n’est pas une voiture is a project curated by Martí Peran and realized together with Idensitat, Can Xalant Centre de Creació i Pensament Contemporani de Mataró, ACVic Centre d’Arts Contemporànies and Trànsit Projectes.